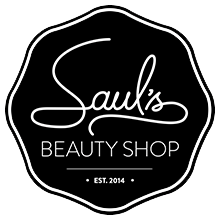 - Re- Instagram one of our contest images from our Instagram account SaulsBeautyShop , just tag us in the photo so we know it's been posted! 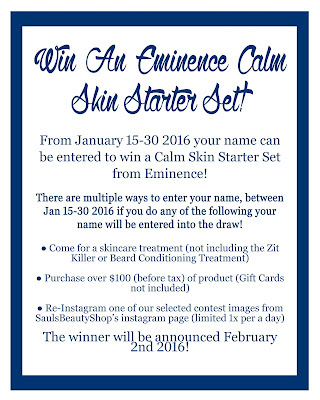 (this is limited to 1x per a day per person entry). 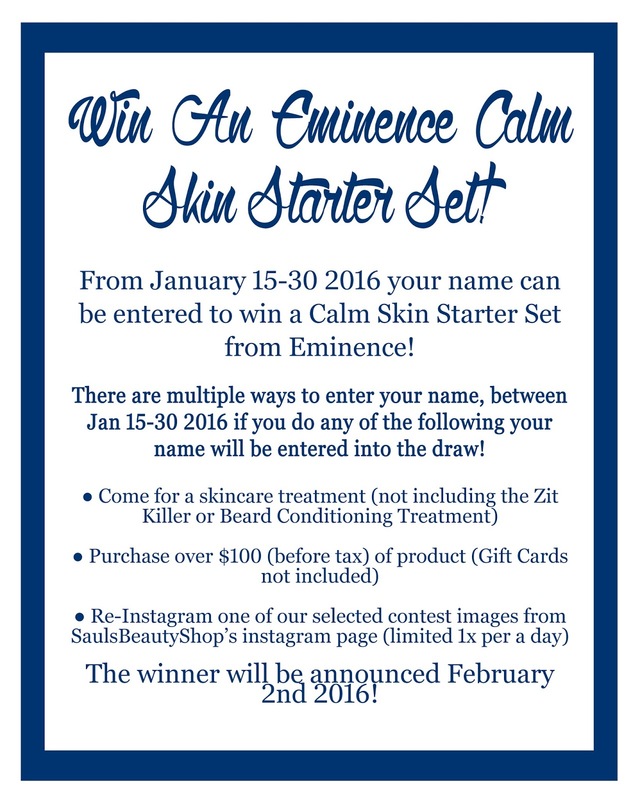 On February 2nd 2016 we'll announce the winner and you can come to the shop to pick up your (at least) a month of soothing, hydrating Eminence Calm Skin products! Good luck!